Join us for a yoga and mindfulness retreat to reconnect you to source. What does retreat really mean? Retreat means to go inside – to take a step back and give ourselves time for contemplation. Over the course of our week long retreat, we encourage you to take time to work out what nourishes you, what heals you and what supports your life’s journey. Being grounded in this inner wisdom, makes you a Conscious Warrior. Why become a Conscious Warrior? Being a Conscious Warrior is about walking our talk – buying local produce, showing up for friends and standing up for what we believe in – but also about listening to ourselves; understanding our boundaries and limitations; being intimate with both the painful and pleasurable experiences in life – appreciating that our life’s journey is a dance. Being a warrior means fighting for what we believe in but not sweating the small stuff. Being a warrior means fighting for what we believe in but not being defined by it. Being a warrior means knowing we are so much bigger than who we think we are. Awareness is the key for healing. When we bring awareness to ourselves and what we need, we start to listen to what our body and soul needs; we start a dialogue with our body and tune into our own healing wisdom. Through meditation and yoga nidra, we will create a deeper sense of awareness. You will take home a regular yoga and meditation practice that helps you feel empowered to make change in your life. Indulge in luxurious tranquility at Anahata on stunning Ashwem Beach. Immerse yourself in group guided meditation, restorative yoga nidra and sound healing sessions. Invigorate your core and savour nutritious plant-based food prepared from locally sourced ingredients. Alexandra DenKinger M.D. Acu, Yin Yoga Teacher and Body-Mind-Soul Healer, is dedicated to help people to empower themselves to live a most authentic, healthy life possible. An all-time seeker on a soul-searching journey she moved from Germany to India nearly two decades ago and is based with her acupuncture practice in Mandrem. The focus in her yoga classes is on the value of breath, insight & intuition. She integrates the ancient wisdom of the acupuncture meridian energy into a meditative mindfulness practice. Viriam Kaur has been teaching Yoga, Meditation and Awareness Practices for 15 years. She trained in the UK with SKY School of Kundalini Yoga in 2003 and teaches around the world. She is a senior teacher registered with Yoga Alliance Professionals and has taught Yoga Philosophy on an International teacher training. for the last 6 years. In addition to yoga, Viriam works with breath, sound and the healing power of yoga nidra and has devised her own form of Chakra Healing. She is also a trained massage therapist. Viriam chants sacred mantra with her band Mantrica. Start each day with a conscious yoga practice (kundalini, yin, hatha – depending on the day) to tune into physical presence and starting a conversation with the soul. Focus on the themes of Letting Go, Manifestation and Walking Our Talk – with yoga, movement, meditation, visualisation and acupuncture healing circles. Balance the mind-body-spirit levels. 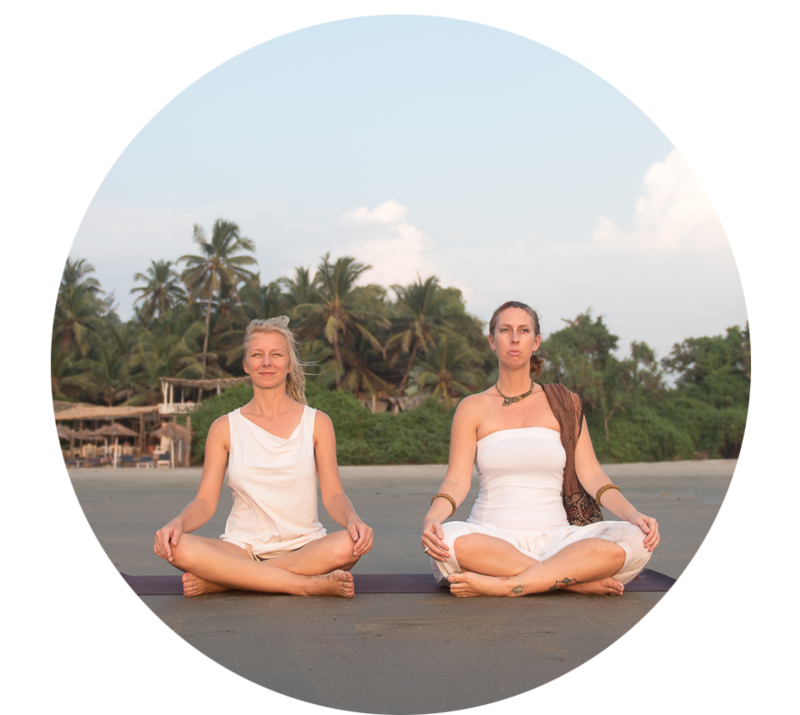 Approach life through all angles – physical, mental, emotional, spiritual and energetic – through yoga, meditation and conscious healing sessions. De-stress the body through yoga, conscious eating, acupuncture and yoga nidra. Make space for creativity, clarity and forward momentum. Find your footprint by being a Conscious Warrior in the world. A retreat in all senses: The peaceful and secluded rural setting encourages communion with yourself and with nature. Our groups are 15-20 people from Goa and all around the world. We aim to create a warm atmosphere and a true 'safe space'. Bring your body, mind and spirit into a natural state of wellbeing. 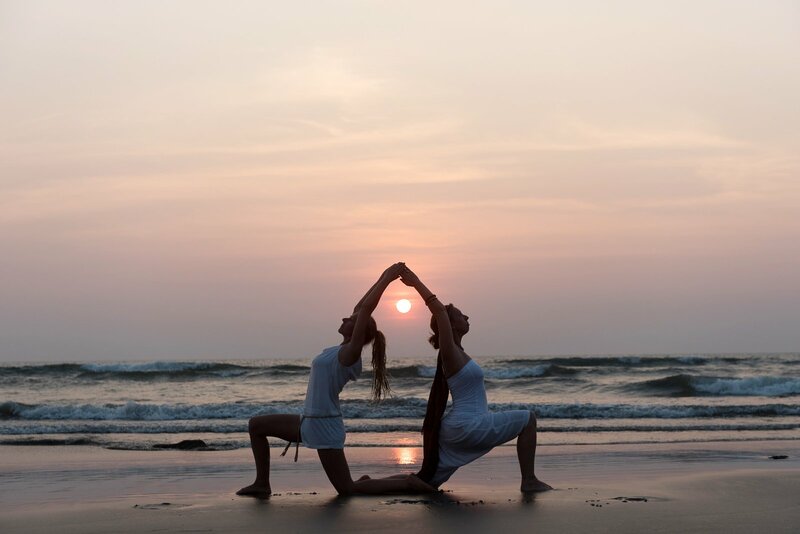 We’ll practice yoga and meditation twice a day with group acupuncture sessions each morning and plenty of free time in the afternoon for reflection, strolls around the property, walks on the beach or dips in the ocean. 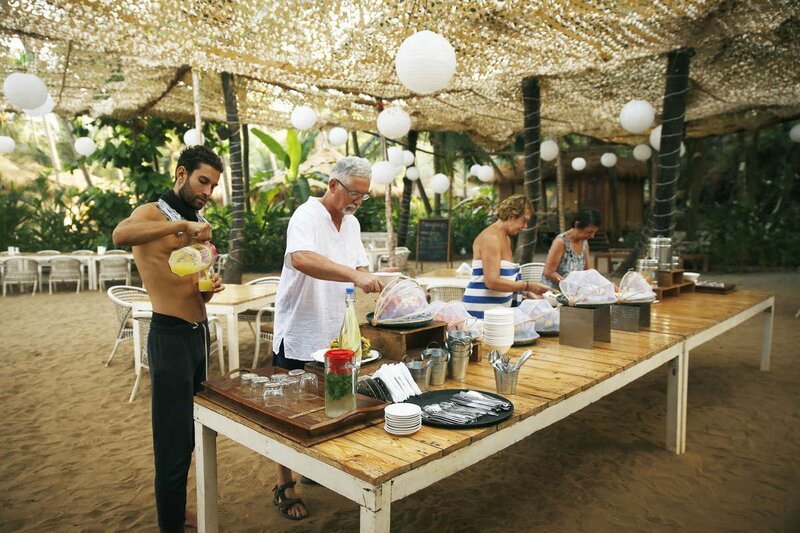 Anahata is a leading retreat center in Goa bringing together the best yoga facilities, beautiful eco-chic accommodations, delicious healthy food and a supportive staff to make your dream retreat come true, all set on a wide pristine Ashvem beach and surrounded by breathtaking natural beauty. The meaning of “Anahata” in the Sanskrit language is “unstruck” or “unchanged”. Anahata’s cuisine takes the folklore and tasty ingredients of the traditional Goan and Indian recipes and integrates them with an original accent into a healthy diet specially designed for yogis. Our meals are gourmet healthy style based on locally grown produce and freshly caught fish and seafood. All meals include gluten-free and vegan options. All guests are expected to respect the restaurant schedule. pre-yoga fresh herbal morning tea and a mid-day yoga brunch. 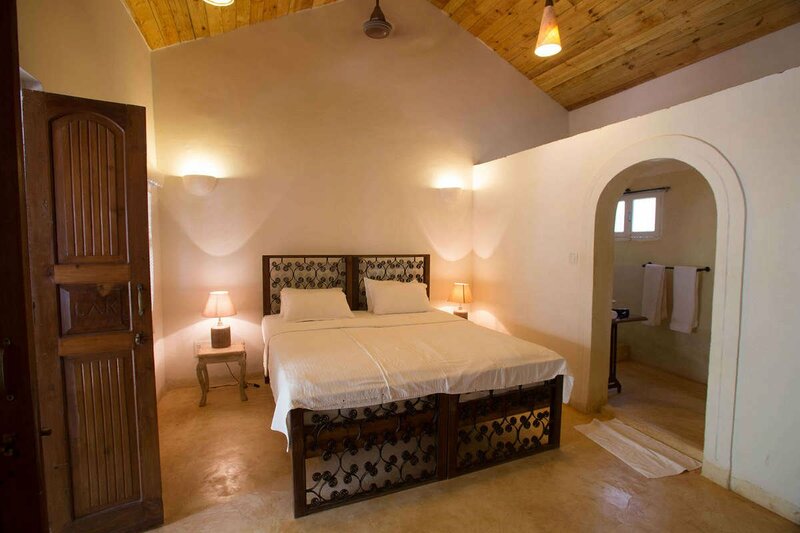 Our venue has superior rooms available on a single occupancy or twin sharing basis. Secure your spot by paying an initial deposit of Rs. 20,000. The remainder can be paid on arrival once you decide on accommodation preferences.